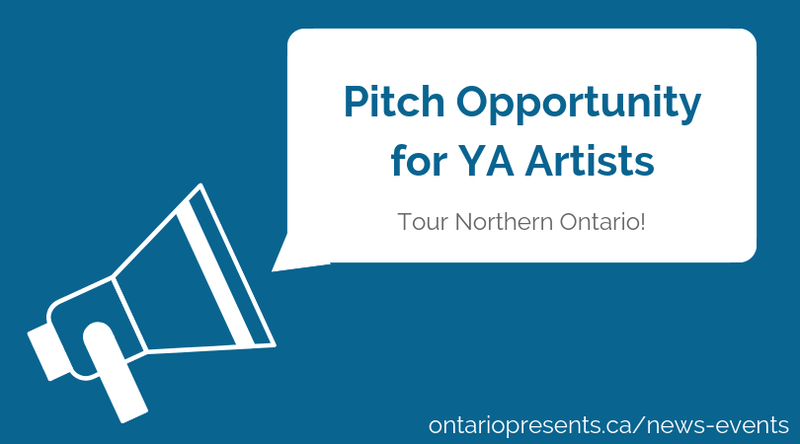 Apply for the opportunity to pitch your tour-ready work! A delegation of multidisciplinary performing arts presenters from northern and central Ontario communities will be visiting Toronto in May 2019 to see performances at Junior (Harbourfront Centre), WeeFestival (Theatre Direct) and Uptown Toronto International Children’s Festival (Civic Theatres Toronto). Eight professional Ontario-based performing arts artists/companies will be selected to pitch their work on Saturday, May 18, 2019 in Toronto for their chance to be presented in eleven communities across the province. For more information, please visit Ontario Presents’ website.